As any security professional can attest, effectively securing buildings requires an intricate network of carefully orchestrated people and devices. Advancements in automated access control are making identifying authorized individuals easier and more unobtrusive. We recently spoke with Princeton Identity about their new IDS Series access control solution, which is built on a customized version of Logic Supply’s ML450 industrial computer, and how their biometric recognition technology is being put in place to help streamline access control in the wide range of industries they serve. Can you tell is a bit about Princeton Identity? 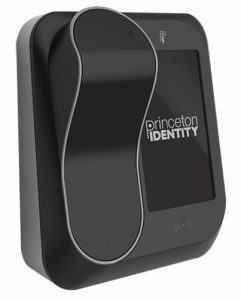 Princeton Identity offers biometric authentication solutions designed to verify and manage individuals’ identities for a wide range of physical security and access control applications. With proven installations around the world, Princeton Identity offers system solutions for a diverse range of mainstream applications, including mobile access control, corporate, industrial and secure workplaces, as well as airports, critical infrastructure, public arenas, and border control. 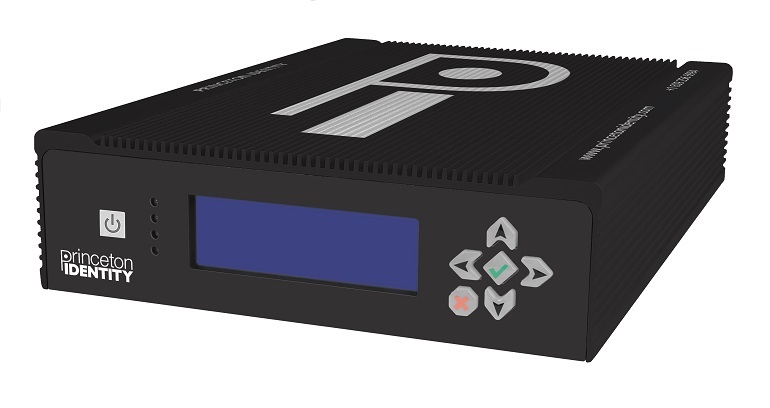 Princeton Identity creates products for organizations seeking new ways to streamline security, increase throughput, optimize operations, and control costs. Our solutions deliver high-accuracy minimal user interaction – ideal for authentication in markets such as security, transportation, airports, finance, healthcare, and others. Our unique multimodal biometric solutions employ distinctive iris and facial recognition technologies designed for accuracy and ease of use. PI’s iris recognition technology is featured in the Samsung Galaxy S8, S9, and the Note 8 devices. What makes your IDS Series device special? The IDS Series is used to power and manage a range of Access Devices. This appliance provides a set of core services that includes multimodal and multifactor biometric identification, as well as a suite of auxiliary services, including component registration, health monitoring and reporting. One of the key benefits to utilizing our IDS Series devices is that they have the capacity to scale from single site and campuses to full enterprise deployments. Can you give us an example of how the IDS Series might be used? Challenge: Provide an identification platform capable of distribution of enrollment and encounter data across a large multisite enterprise. The platform must support biometric collection using pre-existing sensors, pluggable biometr matching engines, and integration with an existing access control system. Solution: Built upon the IOM Identity Platform, Princeton Identity’s federated architecture enables controlled approval and distribution of enrollments across the enterprise and an aggregated view of personnel encounters to support pattern-of-life analysis. Results: The resulting system provides a centralized view and controlled distribution of enrollments, personnel status, facility encounters, and system health. These capabilities provide the real-time control and insight required to identify and respond to emerging facility and enterprise security issues. You can see the new IDS Series at Princeton Identity’s booth (Booth #7079) at ISC West 2018, starting Wednesday, and check out Logic Supply’s full line of security hardware at ISC West booth #14144.